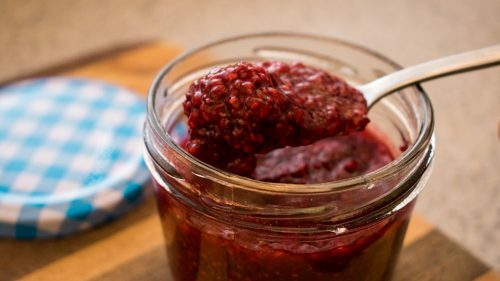 It’s packed with plenty of good ingredients, allowing you to sneak in some fruit and veg at the start of your day. 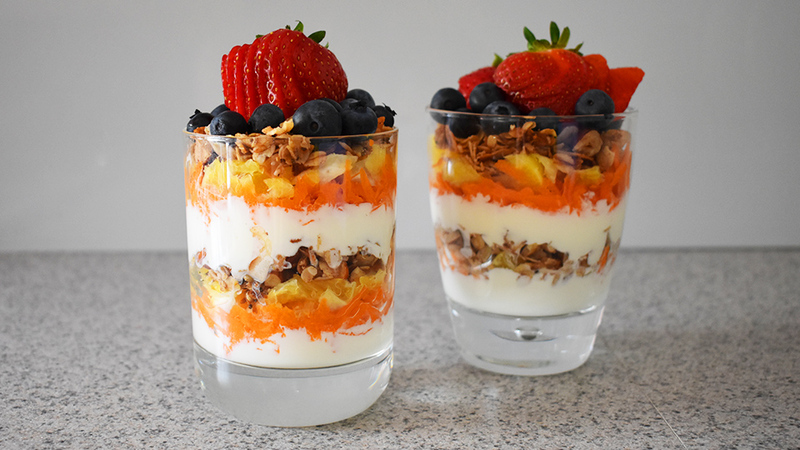 One of the best things about this parfait is all the different textures – you get the creaminess from the yoghurt, the crunch from the granola and bursts of sweetness from the carrot and fruits. It’s surprisingly filling too, so it’s sure to keep you going right through the morning. As an added bonus, it’s colourful and pretty, making it a delight to eat. Peel and grate the carrot. Peel the orange and cut into thin pieces. Use a glass with a wide mouth and layer the ingredients bit by bit. Start with approximately two tablespoons of Greek yoghurt, then a layer of carrot and orange, followed by two tablespoons of granola. Repeat the layers in the same order until you reach the top of the glass. Top the parfait with some blueberries and a strawberry or two. 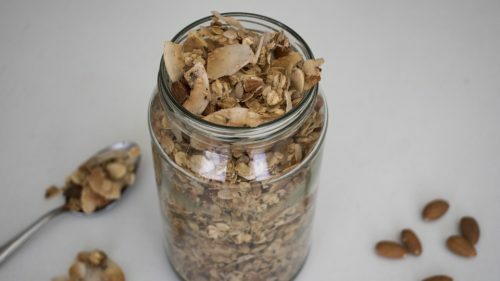 If you're looking to ditch those store-bought cereals in favour of something wholesome and home-made, give this oat and almond granola a go.